Universities in the US, China and the UK make up over a third of the institutions featured in the second annual Best Global Universities rankings from US News and World Report, which for the first time has included Africa in its regional league tables. Harvard University tops the global table, followed by Massachusetts Institute of Technology and University of California–Berkeley in second and third place respectively. Stamford University and the University of Oxford in the UK complete the global top five. Rounding out the top 10, the University of Cambridge ranks at number six, followed by the California Institute of Technology, the University of California–Los Angeles, Columbia University and the University of Chicago. The US being claims the most positions in the rankings table, 181, followed by China with 57, edging past the UK with 55. These three countries, with a combined 293 institutions, make up 39% of the total number of institutions on the table. Like the top 10, the universities ranked from 11-20 are also dominated by US-based institutions, with the exception of the University of Toronto in 16th place, and Imperial College London ranked at 18. “Today, more students are exploring higher education options beyond their own borders. Universities worldwide are competing for the best students, renowned faculty and research dollars,” said Robert Morse, chief data strategist for US News. This is the second annual global universities rankings produced by US News and World Report, and features 750 institutions – up from 500 last year– from 57 different countries. “One difference between the US News Best Global Universities rankings and other world university rankings is the fact that US News is numerically ranking all the schools in the overall rankings, from number one to number 750, without using broad tiers,” said Morse. He added that the 22 subject rankings, which include clinical medicine, social sciences and public health, and engineering, and in which the US claimed all the top spots, also list universities numerically rather than in tiers. New this year is the addition of Africa to the regional tables, bringing the total number of regional rankings up to five. 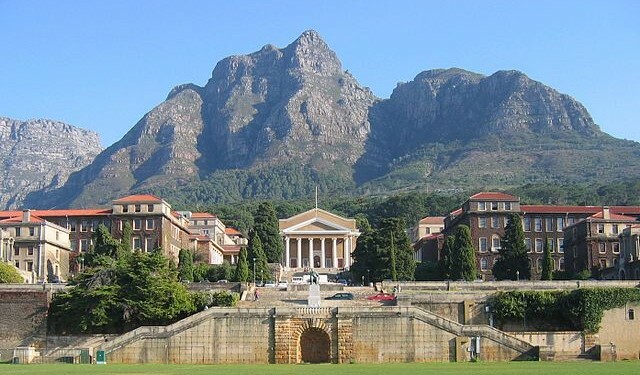 The Africa rankings were topped by the University of Cape Town in South Africa. In the global rankings, it sits at 162, tied with RWTH Aachen University in Germany and Queen Mary University of London. The University of Tokyo claims the number one spot in Asia’s regional rankings, followed by Peking University in China and the National University of Singapore. Swiss Federal Institute of Technology Zurich makes fifth place in the region of Europe and ties at 27th place globally. It followed Oxford, Cambridge, and two London-based universities: Imperial College London and University College London at third and fourth respectively. In the Australia/New Zealand regional rankings, the University of Melbourne, the University of Sydney and the University of Queensland, Australia were the three highest ranked.